Within a week all of the “Shine Station” volunteer slots were filled. Over the course of the five hour volunteer shift, 16 women tossed 500 pounds of shimmery silver cornstarch compound over runners as they crossed the finish line. Covered in shine, and resembling the Wizard of Oz Tin Man, the women recall memories created that day. “I had a great time with the fellow Shine Station ladies. I loved meeting some fairly new League members and catching up with some women I haven’t seen in a while. I personally loved being covered in shine! It reminded me of junior high when we’d slather ourselves with drugstore shimmer powder and jam to *NSync.” says Katie Triplett, League member and Shine Station volunteer. 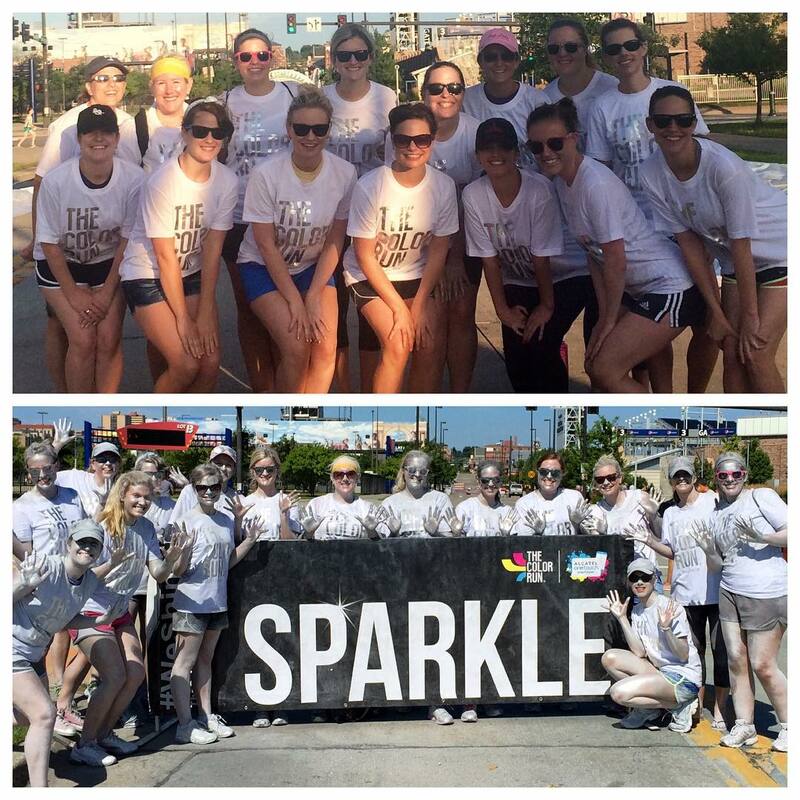 2015 Omaha Color Run Shine Station volunteers, before and after. 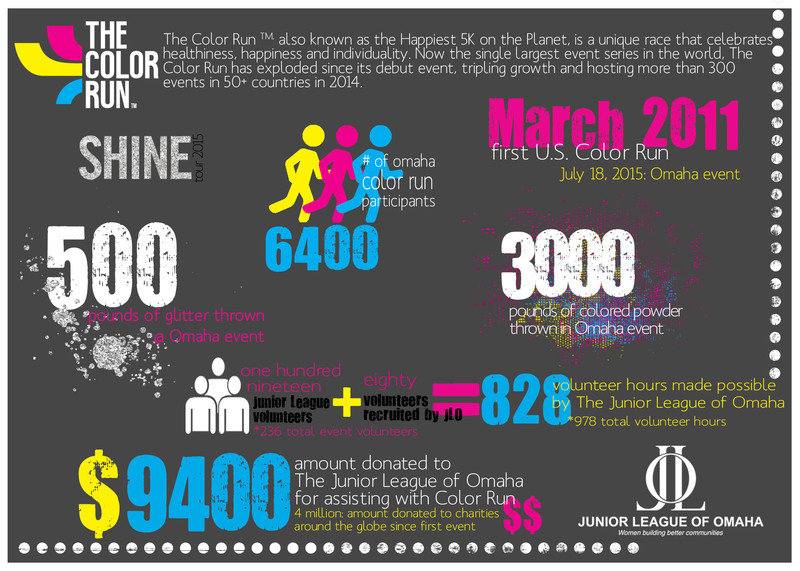 The 2015 Omaha Color Run was an overall success. Check out the quick facts about the race in the below infographic.